Danielle Morrill is the CEO & Cofounder of Mattermark, where her team helps dealmakers research and qualify opportunities to do business with the world's fastest growing private companies. 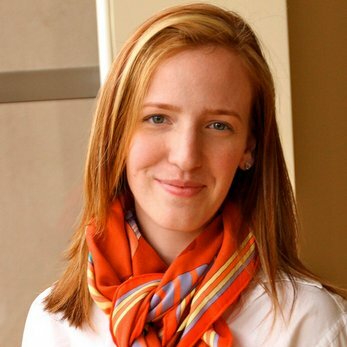 Danielle is a Y Combinator Summer 2012 graduate and was head of marketing and employee #1 at Twilio previously. Danielle: Entrepreneurship gives me the freedom to create something that did not previously exist in the world, and bring together people who also want to make this same thing real. In our case, we want to see all the business information in the world organized into a resource that any business person can use at a very reasonable cost, to do their job. Far too many people spend time being spreadsheet monkeys instead of doing the creative and unique work they are capable of doing. Danielle: I recently celebrated my 4 year anniversary as a CEO, it's hard to believe I have now been in this role more than 10% of my life and longer than any other job I previously held. My greatest accomplishment, which is ongoing, is the development of a long view for what I am working on and how it brings meaning to my life. If you could change something from your past, what would it be? Danielle: I wouldn't change anything about my past, everything that has happened so far has brought me to this point. For example, I had to shut down my previous startup Referly a year in. We had realized that our business model would not scale, but we pivoted that to build Mattermark. Tell us about an instance when you went against the flow to achieve your goal. Danielle: Most of the students in my affluent hometown applied to Ivy League schools, but I did not apply to any 4-year college, even though I had scored very well on the SAT's. I thought my peers went to college not knowing what they wanted out of that experience, and they'd graduate college without a direction. At some point, they'd end up becoming a check-the-box person. I briefly attended community college so my parents would continue to financially support me, but dropped out quickly after only two quarters to work for a Fortune 500 company where I got an internship which soon turned it into a full-time job. For years, people told me I was ruining my life by not going to college. It's really only after raising millions of dollars of funding that my parents and others started to chuckle and admit I made the right call. What drives you? How do you measure success for yourself? Danielle: I am very interested in time, which is each person's most scarce and precious resource. I have gone through phases of fascination in time-travel, slowing down time, and finding the optimal state for being. I am driven by my desire to solve problems, and I measure success by how deeply I feel my own freedom to act on the world and explore both my inner life (introspection) and control or change my environment. You are "organizing world's business information" at Mattermark. What metrics and framework do you use? Danielle: Figuring out the solution space for "business information" is the most immediate challenge. We started off as an ad and event based revenue model, but we have evolved into a more sophisticated solutions provider to help dealmakers spend less time on qualifying and more time on targeting and selling. We want to give people their time back! What advice would you give to millennials who are interested in entrepreneurship and technology? Danielle: Don't just do things to check the box. When I hire, I look for people with a long term attitude, who are interested in solving problems and won't merely go through motions and go home at 5 pm. Know why you want to go college, why you want a certain job and so on. I'd want to know that you can make judgement calls without oversight, so you need to have demonstrated conscious and thoughtful decision making. Follow Danielle Morrill at @DanielleMorrill, check out the other interviews in Going Against the Flow series at http://www.huffingtonpost.com/charu-sharma/ and join this movement to empower 1 million female entrepreneurs on goagainsttheflow.com.